What is plist Editor Pro? In the Mac OS X and iPhone OS, property list files are files that store serialized objects. 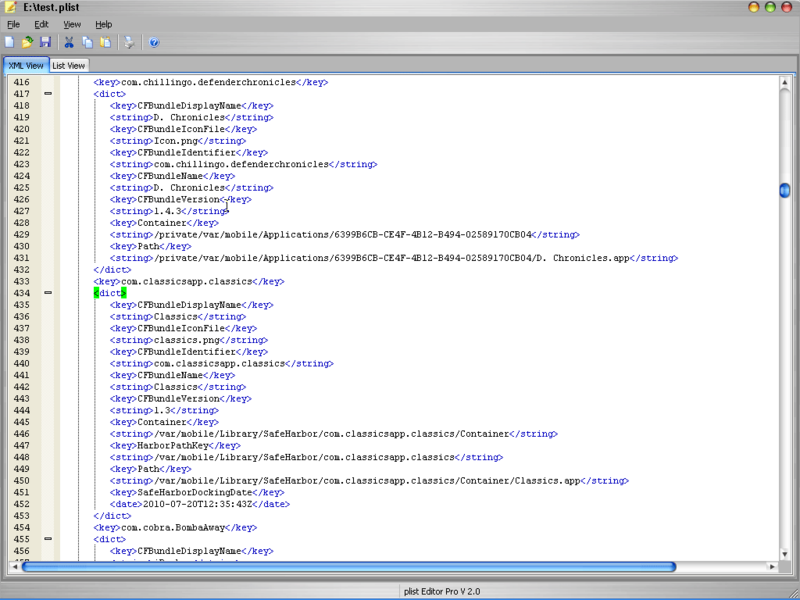 Property list files use the filename extension .plist. Mac OS X 10.2 introduced a new format where property list files are stored as binary files. Starting with Mac OS X 10.4, this is the default format for preference files. 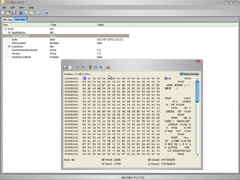 plist Editor Pro is a tool that can help you to reading and edit both XML format and binary format plist file under Windows system. Before, we can only edit plist file under Mac OS, now with plist Editor Pro, we can also reading and edit plist file under Windows system. It is directed both to software developers and to end users who like to have full access plist files under Windows system. Reading and edit both of XML format and binary format of plist files. 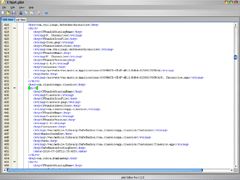 View and edit plist file in XML text mode. View plist file in property list mode, like the default plist Editor in Mac OS. 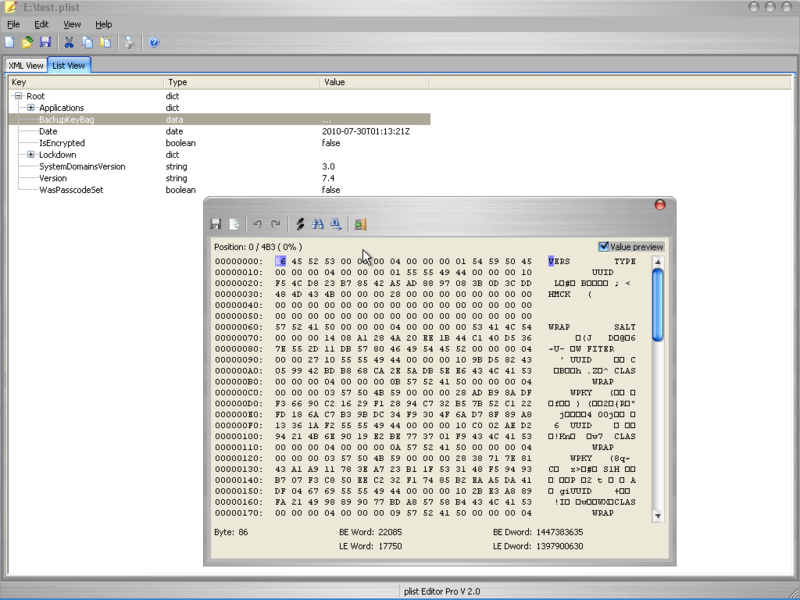 In list mode, you can double click a DATA property, the program will decode the data and open with built-in plist Editor/Text Editor/Hex Editor/Image Viewer/Database Viewer, according to its content; double click a bool/string/integer/date property, the program will pop up a window and you can change the value here. Search/Replace, Undo/Redo, Syntex Highlight, Bookmark, Print and more. Check plist syntex before saving to disk. Easy to use, skinable user interface. Current version: v2.5.0, Released at 2017/08/10 (9.67Mb). Windows XP/Vista/Windows 7/Windows 8/Windows 10.